Quinnipiac got back into ECAC action this past weekend splitting a road trip against Harvard and Dartmouth. After falling 5-2 on Friday to Harvard in an ugly game especially in the second period, the Bobcats bounced back on Saturday with a 4-2 win over Dartmouth. Sitting at 12-9-2 and in a third place tie in the ECAC standings, Quinnipiac needs to turn it on down the stretch. They currently sit at 18th in the pairwise and look to be a fringe NCAA team right now with very few opponents above them in the pairwise left that they can play in the regular season. With that said let's take a look at some of the future Bobcats and their performances in junior and prep hockey over the past week. 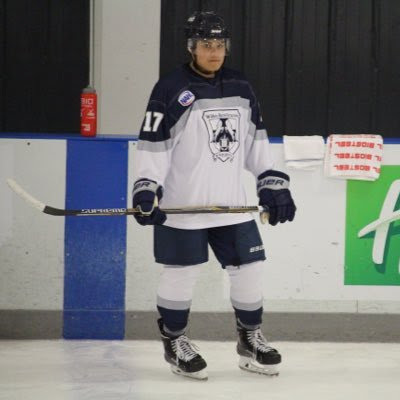 It was a very good weekend for 1998 forward Khristian Acosta of the Wilkes-Barre/Scranton Knights. He had a goal and 4 assists in three games with a monster game on Satuday when he had four points against the Northeast Generals. In 27 games played this season he has 29 points (10 goals and 19 assists) and is averaging 1.07 points per game since moving the North American Hockey League. With his a three point weekend, 1997 forward Ryan Finnegan looks to be fully recovered from an undisclosed he had earlier this season as this was his first points in over a month. Since his trade from the BCHL to the the New Jersey Hitmen in the USPHL Premier division he had 13 points (3 goals and 10 assists) in 14 games played. Already signed to a national letter of intent it will be interesting to see if the coaching staff wants him to develop for one more junior season or come to Hamden in the fall of 2017. 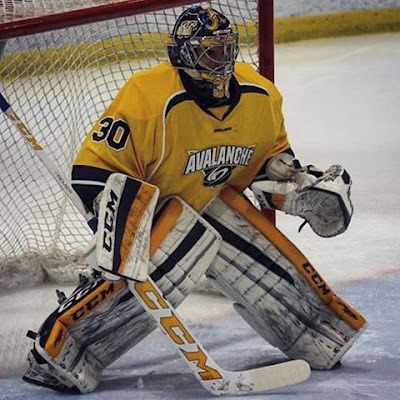 1999 goaltender of the North Jersey Avalanche 18U Justin Robbins posted a 35 save shutout of the Philadelphia Jr. Flyers in Tier I elite hockey action over the weekend. Its his fourth shutout in Tier I hockey play and second in the last three games he has played. On the season he is 13-1 with a 1.71 GAA with a .938 sv percentage in 15 Tier I hockey games. Robbins also saw a start this weekend for in AYHL action. He saved 16 of 17 shots en route to an 11-1 for the Avalanche in a win over Elite Hockey AAA. In six AYHL games he has a 1.50 GAA and a .934 save percentage. He also got called up to the Chicago Steel of the USHL for one game this season. Springfield Junior Blues 1999 forward Matt Cassidy had a four point week starting last Tuesday with a goal and three assists. With points in eight of his last twelve games he is up to 20 points (8 goals and 12 assists) in 30 games played after a slow start out of the gate. I see him continuing to get better as the season goes along. He is not ready for Hamden next season but I would like to see him possibly play in the USHL next season for more seasoning and a greater challenge. 1999 forward Corey Clifton had a hat trick in AYHL league play. In 12 AYHL games he has 10 points (6 goals and 4 assists). He also has 20 points (4 goals and 16 assists) in 24 Tier I hockey games and is also playing high school hockey for Christian Brothers Academy in New Jersey. Steele Subaru Major Midgets 2002 forward Jacob Quillan is on a 10 game point streak with 11 points in the last 10 games (5 goals and 6 assists). On the season the youngest player on the teams roster has 20 points (7 goals and 13 assists) in 26 games played. 2000 defenseman Peter Diliberatore has three goals and two assists in 15 games for the Salisbury School in Connecticut. The Nova Scotia native is in his junior year at the elite prep school. I would expect him to be in the Sioux Falls Stampede camp next year trying to win a spot in the USHL as he was drafted in the 10th round by the Stampede in the Phase I draft. Winchendon senior and 1999 forward Matthew Fawcett has gotten off the a blazing start in the prep season with 17 points (7 goals 10 assists) in 11 games played for Winchendon. He is averaging 1.55 points per game on the season. He was called up to the USHL by the Sioux City Musketeers for two games this season. Two commits are still nursing significant injuries as we move to the second half of the season. 1996 defenseman and Hamden native Joe O'Connor has yet to play in a game for the Brooks Bandits (AJHL) while still out with an upper body injury. There is no time frame on when he is returning. 1997 forward D.J. Petruzzelli has been out with a lower body injury for the Springfield Junior Blues (NAHL). He has not played in a game since September 23rd and its unknown at this time if he will return this season.